We strive to bring you the best Air conditioning and heating Products, services and repair in Encino. We've got a lot of experience and we're happy to pass along some tips to help you save time and money. We are committed to upholding the highest level of service. That's why we guarantee you 100% Satisfaction with our work. - Electrical Repair and Replacement. - Some Construction & Remodeling. 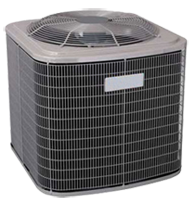 Air Conditioning Encino is here to give you the best air conditioning in Encino, CA and surrounding areas. We are a heating and cooling company that specializes in the design, installation and repair of air conditioning and heating systems. Whether you are in need of a residential or commercial heating or air-conditioning contractor, Air Conditioning Encino, California stands ready to help. Air Conditioning Encino continues to build a name for unparalleled customer service and enthusiasm. We are constantly evaluating the indoor comfort problems present in homes across Encino. Our research shows that regardless of equipment brand, most problems with heating and air conditioning systems can be prevented by proper equipment application, installation and disciplined maintenance methods. As a result, Air Conditioning Encino, CA has developed a regimented system of installation, maintenance, and service techniques for your air-conditioning and heating systems. Our expressed purpose is to enhance your indoor air comfort while conserving energy and maximizing equipment performance.